I just bought an AWESOME iPhone app called "iPump: Total Body." I've been with 24-Hour Fitness for a while but I never studied all the different exercises. So, I kind of randomly did my weight training. The app was only $2.99. Now, I have a plan. The app is really cool because for each exercises there is also a video with a narrator showing and telling you how each exercises is done. That's PERFECT for me! I was four exercises away from finishing the circuit. But, I was POOPED! It says to do this 10-exercise circuit once a week. I might have to split it up to twice a week and do 5 exercises each. And I have to stick with this first 10 exercises for 4-6 weeks. Something tells me that I'll probably need all 6 weeks. So, this is what I'm doing in addition to my urban hiking! Hopefully, it will help me to lose weight, make my liver less fatty and make me slimmer! About halfway down, Sarah Palin is all of a sudden Governor of Canada! There was a lot of buildup for the first Google Android phone and we get this?! The T-Mobile G1 was unveiled today. And I'm not impressed. Check out that picture. The keyboard is even bigger than the screen! It just looks clumsy. It has a 3.1MP camera, GPS mapping and up to 8GB of storage with a memory card (which means there's either little to no onboard memory and you'll have to get an 8GB memory card). Now, what surprised me the MOST is that T-Mobile has really bad 3G coverage. 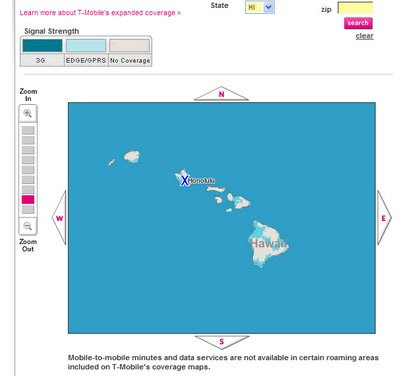 In fact, there's NO 3G coverage in Hawaii right now. Look at the map on the left. There's no dark blue which is 3G. And there's really scattered EDGE coverage, which is horribly slow anyway. In fact, T-Mobile concedes that when the phone will start selling on October 22nd, only 21 cities (more than likely all on the mainland) will have 3G coverage! And people complained about the 3G coverage for AT&T! So, if you live in Hawaii and you dreamed of owning a Google Android phone, you have a SEVERELY gimped mobile phone which was supposed to be geared toward using the internet. Now, I know what you're saying. The iPhone guy is just being negative. Actually, I was hoping for a phone either as good or superior to the iPhone. Better mobile phones on the market will force the iPhone to become better. I really believe that. At least until the Blackberry Thunder comes out, it seems that Steve Jobs can rest on his laurels - unfortunately. 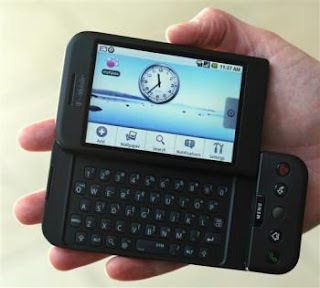 The Samsung Instinct, the LG Dare and now the T-Mobile G1 have failed to put forth a serious competitor to the iPhone. Guess Who's In The Wall Street Journal? 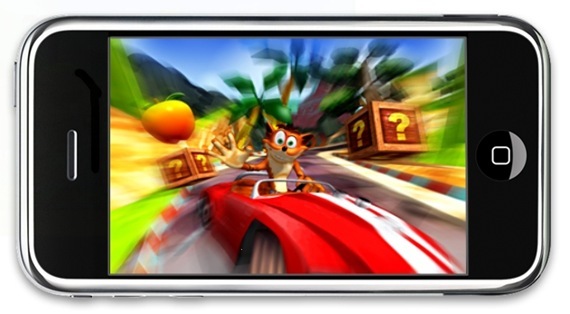 A while back I blogged about doing an interview with a reporter from the Wall Street Journal about iPhone games. Well, some PR dude called me at work saying he saw my article! Mahealani Richardson posted it at work so everyone can know how much of a geek-nerd I am. During this morning's worship time, I was having an electronic drum crisis. The one song that was supposed to call everyone to worship was horrendous. I couldn't hear the keyboards which the worship leader was playing. Everyone else couldn't hear me and we were all out of sync. And at one point the arm on my snare drum was getting loose and it was unplayable. I realize that it doesn't matter to God that we play perfectly, but I want to offer up my BEST, which I couldn't because circumstances beyond my control. It was one of the busiest Saturdays in a long time. Yet, I never felt out of control or overworked. It was all very pleasant. 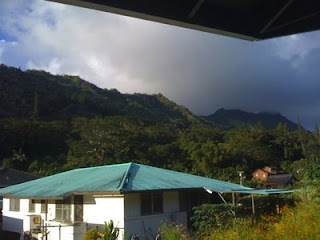 First up, Shayna Fuller's birthday party in Ewa Beach. I've personally seen Shayna grow up at Kalihi Union Church. She married one of my best friends Tony. Because of a lack of parking space, I organized a carpool betwee myself, Julie, Reyton & Jennifer. 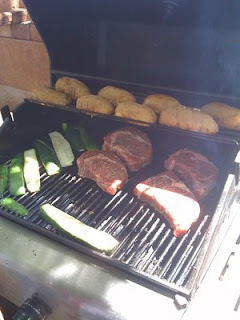 I had a great time with Roman, James, Rodney, their respective families & everyone else who came. Tony & Shayna's 5-month-old son Ezekiel was the star of the party. 3.5 hours there to begin the day. We left around 1:30 pm to get some rest before the next party. At 5 pm, it was off to the next birthday party in Kalihi Valley for Jennifer Lo. It was at the beautiful Dredla home. I love that breezy porch! So much food! A great night of conversation & eating. Got to see KUC alumnus Tracie. It was also a send off for Julie who is moving to Seattle. I came home pretty tired at around 10:30 pm. But, tired in a GOOD way. iTunes is offering a free episode of the new "Knight Rider" television series. So, I took the bait just to see how it is. The episode I saw is called "A Knight In Shining Armor." I came away sorely disappointed. Even with my low expectations. Let's start with the good points. Two actors who stuck out to me: Bruce Davison and Sydney Poitier. Unfortunately, neither of them had much screen time in this episode. And Poitier doesn't have a juicy character like Jungle Julia in "Deathproof." The acting doesn't get much better than those two. The actor playing the lead can barely hold his own, much less the entire television series. At least David Hasselhoff was a TV show veteran from "The Young And The Restless" in the first go-around. And this Mike is a more troubled soul. What little personality he has is wasted in one-liner conversations with K.I.T.T. Speaking of K.I.T.T. , Val Kilmer has nothing on William Daniels (the original voice of K.I.T.T.). Yes, Kilmer's career has descended to doing voice-overs of a car. Unfortunately, he's using that same robotic voice he employed in "Batman Forever." What made Daniels so good in the role of K.I.T.T. is that he didn't try to sound like a computer. He used his normal voice which made K.I.T.T. seem more human. Kilmer sounds like a turn-by-turn GPS device. Even the one in my car sounds better than him. 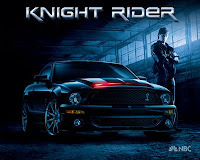 And, lastly the choice of a Ford Mustang Cobra as the K.I.T.T. car. At least the Pontiac Thunderbird was a hot and classy car in the early 80s. Just to put it plainly, the Mustang is UGLY. And it doesn't exude futurism or hotness. Any black car with a red strobe doesn't make it K.I.T.T. Ford must have paid a high price to get their Mustang to be the K.I.T.T. car. In fact, a really hot car turned up in this episode that put the Mustang to shame. A blue Spyker C8 Spyder, similar to the one pictured here, made an appearance. The car door hinges upwards, which is reminiscent of a Lamborghini. It even outraced the Mustang in the episode. 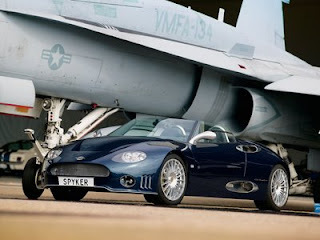 Spyker is a Dutch automaker. In the end, I think the show is trying too hard to be an ensemble cast like "24," "Lost," "Heroes," and "Battlestar Galactica." And there are many weak links in the cast. What made the original show so popular was its simplicity: Michael Knight & K.I.T.T. That's all that you really need. Yup. About 10 miles of walking. I started early so I wouldn't get too much sun. Anybody know a better route? I had to walk near some homeless near Nimitz Highway and I wouldn't want to take my sister on this walk if I had to go that way again. 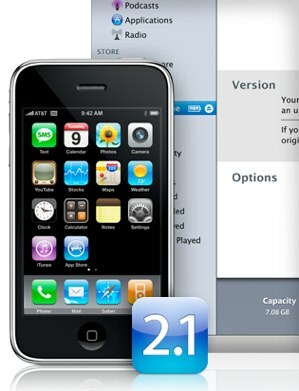 If you have an iPhone 3G or v1 or even an iPod Touch and are still on the old firmware (2.02 for iPhone, at least) you should download version 2.1 right now. Even though I have not been one of the people with serious reception problems, internet speed problems, serious crashing problems, serious app problems, etc. the new update has noticable enhancements. First of all, in my bedroom I could get no more than 3 bars. Now, it's 5 bars all the time. Backing up is much faster with iTunes and it doesn't ALWAYS backup your iPhone when you sync. I hated that. It looks like I don't have to hack iTunes anymore. Loading new apps is also much faster. Even on the iPhone with 3G. A minor tweak is a new logo for 3G and EDGE. Supposedly the battery life is better, but I haven't noticed anything. The only time I run into battery problems is when I use an app that tracks my exercise because the screen has to stay on for the GPS to work. I'm always someplace where I can charge up my phone. Other enhancements, most of which are associated with the iPod functions, are nicely detailed in this MacWorld article: First Look: iPhone 2.1. I do like the new Genius playlist function. After you install 2.1, make you sure do a sync so that your Genius playlist will show up. Also, don't forget to download the new iTunes 8.0 which is another great update. Now that we may have covered the problems of the BASIC functions of the iPhone, maybe we can get to push notifications and cut & paste. Frankly, I don't care about turn-by-turn navigation. I have one in the car and I believe that will always function better than any GPS on a mobile phone. I've been waiting for Spore Origins to come out on the iPhone since the desktop version, Spore, already came out today. I've been checking the App Store all day to no avail. So in the meantime, I downloaded the free trial version of the Spore Creature Creator. And just creating a spore is fun! Here's my first spore. I called him "Cockroach." He looks nasty but he's a softie at heart. I really don't want to buy the full desktop game for $50. The Creature Creator also costs another $10. I'm sure the iPhone version won't cost more than $20 (I'm hoping for $10). I've been into making iPhone wallpapers lately. So, I made this Hawaii Warriors iPhone wallpaper. Feel free to download it and use it.